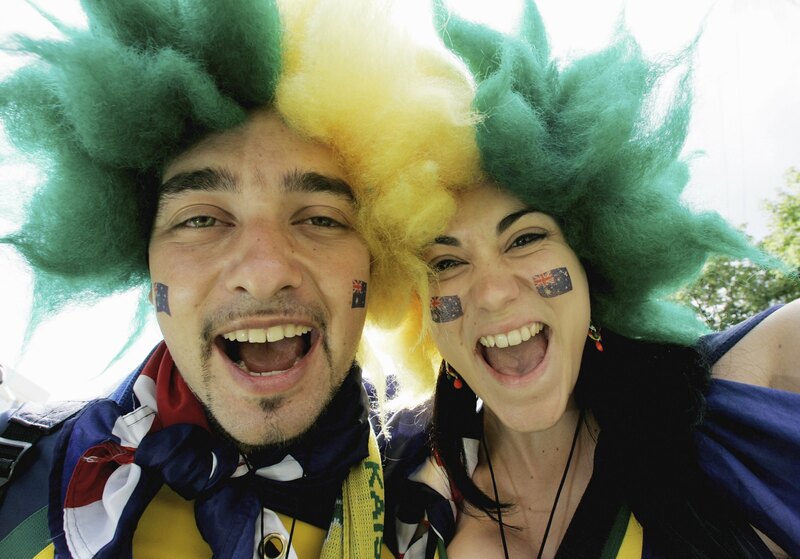 Finally, your desire to play hookie or leave work early with a "cough" is justified: The 2014 FIFA World Cup is officially underway. It's time for totally justified day drinking before 5 PM on a weekday. It's time for yelling, cursing, shouting, and crying on the shoulder of a complete stranger at a crowded soccer bar. Essentially, it's the most wonderful time of the year. Granted, not everyone is bold enough to ask their bosses for days off during the week to watch a few soccer games — and using up all of your vacation time to keep up isn't exactly a top notch option — so there's got to be a way for the rest of us to get in on all the fun without ruining our professional lives. And lucky for us, there totally is. Whether you're a casual viewer (also known as the person who's just here for midday drinking), a soccer die-hard (probably mad at me for calling it "soccer" and not "football"), or a total World Cup nut (not listening, too busy putting on face paint for Thursday's match), you're going to need to set up a game plan for yourself. Archer's got the right idea here. What's better than cable you don't pay for on a big screen, $5 bloody marys, and crowd of people ready and willing to yell and scream right along with you? Of course, if drinking during the day isn't your thing, check out local restaurants and coffee shops — my local coffee shop, for example, brings in a TV during the World Cup so no one ever has to miss a minute. If you have a cable subscription, you can log in to watch matches on Watch ESPN (and a select few on ABC's streaming service). Maybe now's the time to ask your boss for that extra monitor? It's for work. It's definitely not going to allow me to tackle my inbox AND keep up on The World Cup. No ma'am. ESPN developed a free app for iOS and Android that'll help you keep track of everything going on with the World Cup. So really, you've got no excuses to fall behind. If you can't skip out to a bar, watch on your computer or at home, or keep tabs on your ESPN app, go ahead and let it out.